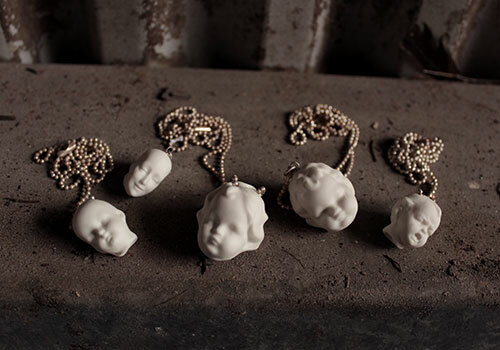 The doll heads were dug up from the site of an old German doll factory. 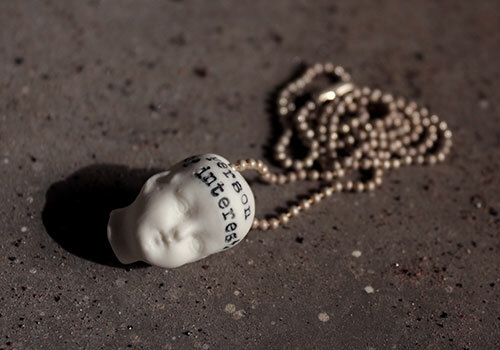 Delicate plaster moulds have been made from the originals and slip cast reproductions create these unusual porcelain pendants strung on sterling silver ball chain. Cherubic babies, strange bald-headed men and elegant-looking ladies Surprisingly up-front requests from such staid-looking women . . . who would have thought? How fabulously filthy! A bit like a special note you'd like to pass to somebody. Something sentimental? Secretive? Or simply a bit of fun. 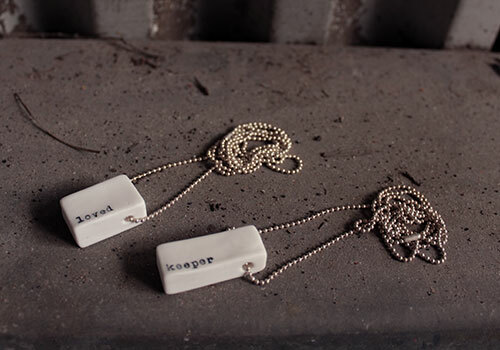 All pendants are individually stamped with type-writer keys. Please note that as each piece is handmade, sizes and shapes may vary slightly. GST is not payable on any items. Postage is calculated per order and added to the total cost of all items.